A young sheriff, an ex-Con and a female veteran lead an ensemble of desperate townspeople when escaped aliens, a predator "Cleaner" and a deadly predalien hybrid do battle in tranquil gunnison, co.
An environmental technician partners with a doomed predator, becoming a "hunter" when her team of explorers is caught between rampaging aliens and the ruthless predators who "seeded" them for a coming of age rite in an ancient, automated pyramid beneath the hostile antarctic surface. After escaping from the alien planet, the ship carrying Ellen Ripley crashes onto a remote and inhabited ore refinery. While living in the ore refinery until she is rescued by her employers, Ripley discovers the horrifying reason for her crash: An alien stowaway. 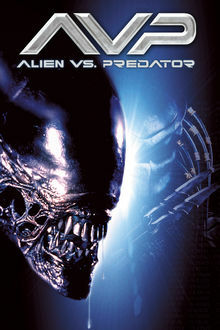 As the alien matures and begins to kill off the inhabitants, Ripley is unaware that her true enemy is more than just the killer alien. Fifty-Seven years after the final moments of "Alien," warrant officer ripley awakens from hypersleep and attempts to warn her bosses at the company that there are awful space creatures out there that invade human bodies and then come crashing bodily out of their chests and stomachs. The company doesn't think much of the story until contact wtih the colonists of planet acheron is suddenly lost and it becomes evident that ripley must go back into alien country, this time with the military in tow, to put a stop to these things.